In New Jersey, most people understand that they are not allowed to drive with a blood alcohol content above a certain level. If they are stopped, tested and register above that level, they will be arrested and charged with the traffic offense of DWI. What many might not be aware of is that they are also required to submit to a breathalyzer test when requested to do so by the law enforcement officer. Choosing not to take the test is known as refusal and is an offense in and of itself. Even if the driver was not above the legal limit with BAC, there will be an arrest for refusal. This is due to the law of implied consent. Drivers often make the mistake of believing that they are allowed to refuse to take the breathalyzer test thinking that it is a form of self-incrimination and the constitution protects them from having to take it. 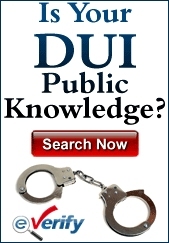 In truth, a driver is subject to implied consent simply by having a driver’s license. The officer can’t force a driver to take the test, but there are penalties for not taking it. The penalties a driver will face for refusing to take a breathalyzer are the same as if there was a DWI conviction. If there is a charge of refusal in addition to a BAC level at or above the legal limit of 0.08%, both DWI and refusal will be charged. For a first offense of refusal, the driver will face a fine of $300 to $500. The driver’s license will be suspended for seven months to one year. $230 will be paid to the Intoxicated Driver Resource Center (IDRC). $75 will go to the Neighborhood Services Fund. $100 will go to each of the Alcohol Education and Rehabilitation Fund (AERF) and the drunk driving fund. There will be surcharges of $1,000 per year for three years. For a second offense, the fine is $500 to $1,000. The other financial penalties are the same as for a first offense. The driver’s license will be suspended for two years. For a third offense, the fine is $1,000. The IDRC, AERF and drunk driving fund financial penalties are all the same as for the first two offenses. The surcharge will be $1,500 annually for three years. The driver’s license will be suspended for ten years. It must also be remembered that if the refusal is in a school zone, the fine and suspension are doubled. When a traffic stop is made for DWI, the officer must have a justifiable reason for making it. If, for example, the driver is breaking traffic laws, weaving in and out of traffic or making dangerous maneuvers, the officer can make the stop and investigate. The officer will then speak to the driver to see if there are telltale signs of intoxication such as slurring the words, emitting a smell of alcohol or exhibiting bloodshot eyes. The officer will then move on to the field sobriety tests and a breathalyzer. It is at this point that the refusal warning will be given. In the statement, the officer will tell the driver that he or she has been arrested for DWI. The driver will be told that it is a legal requirement that the breathalyzer test be taken when asked to do so. There will be a number of bullet pointed statements the officer must say to the driver including the information that there will be legal penalties for refusing that will be administered on top of the charges for DWI. At its conclusion, the officer will repeat that the driver is legally required to submit to the test and ask if the driver will agree to take the test. If the driver refuses to take the test, the officer will ask again if the driver is refusing to submit to the breathalyzer test. If the driver doesn’t answer or says anything that is not “yes,” there will be a charge of refusal. While the driver is required to follow the rules when asked to take a breath test, so too are officers required to follow the rules. If the officer makes a mistake and doesn’t give the proper warning to the driver, the charge can be invalid. An example of how this could happen is if the officer doesn’t have the up-to-date version of the warning and reads from an older version. It is also possible that the officer inadvertently omits a part of the statement of warning. Also, it is required that the warning be given in an language that the driver understands. If the driver doesn’t speak English, them the warning must be given in a language so the driver will comprehend it. The officer will have the warning in the ten different languages that the driver’s written test is given in. When the case is taken to court, if it can be proven that the driver didn’t understand the refusal warning, the charges could be dropped.